The Life-Changing, Forever Gift: Career Scholarships! 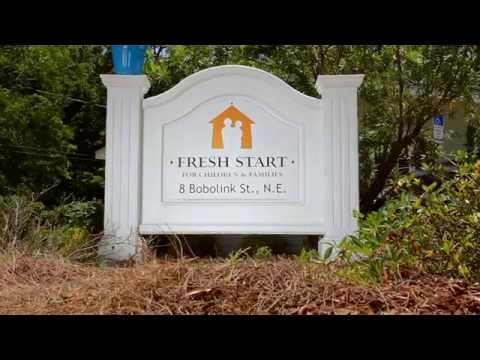 At Fresh Start, our goal is to help employed families who are homeless (or at risk) become self-sufficient. Through our 9-24-month transitional housing program: • At least 90% of our graduates do not return to homelessness. • 100% of our graduates leave with a savings account (they must save 10% of their wages to be used for start-up housing). • Each family leaves with a minimum of 35 hours of group life skills training in addition to their weekly one-on-one goal sessions. • 100% of our graduates leave with at least one (and sometimes all) of the following: Increased level of employ-ability, better wages, and/or more hours, improved credit score, improved rental history, reduction or elimination of debts, legal issues, and much more. With tutoring available for both children and adults (including GED assistance) we have most of the bases for success covered--but we could do better. What’s really needed to get ahead in today's economy is advancement or pursuit of a vocational skill or certification. With donations from our board members, we started a trial program to offer scholarships for training and certification expenses. Career scholarships include the costs of equipment, testing fees, and uniforms for programs in nursing, massage therapy, real estate, teaching, and more! The program has been a complete success for our parents who want to progress from a “job" to a "career." This campaign is to raise funds to continue these vital programs in 2018. Scholarships are truly a life-changing gift that will impact our families (and our economy) for generations to come.